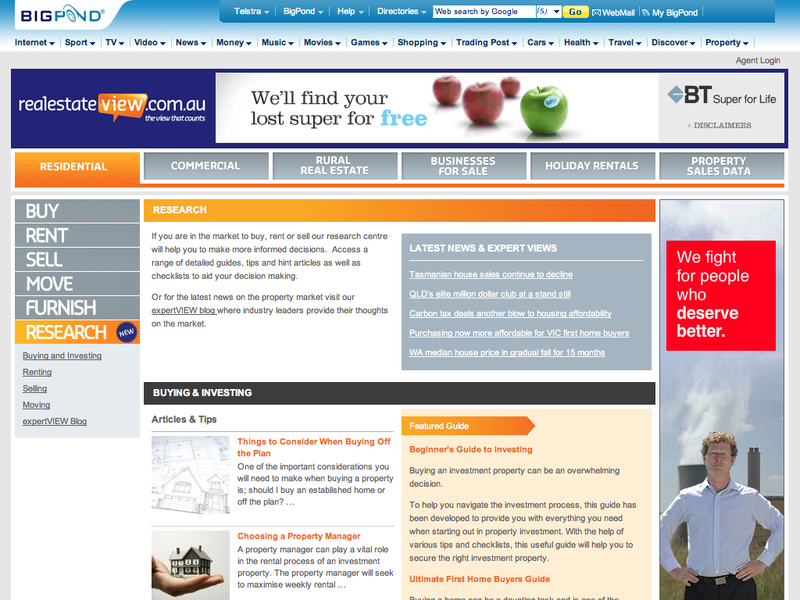 RealestateVIEW was created by WebIT over 10 years ago. WebIT continues to develop and maintain RealestateVIEW which is currently the third most visited Real Estate portal in Australia and part of the bigpond network. RealestateVIEW currently receives in excess of 5,000,000 hits per day and holds in excess of 1,000,000 property listings (200,000 available real estate listings and 1,000,000+ archived listings in the historical database), all fully searchable. At its peak periods, the realestateview servers delivers 500+ files per second. RealestateVIEW operates on a multi server configuration including load balancing, separate database and image servers with load testing and performance testing provided by WebIT. 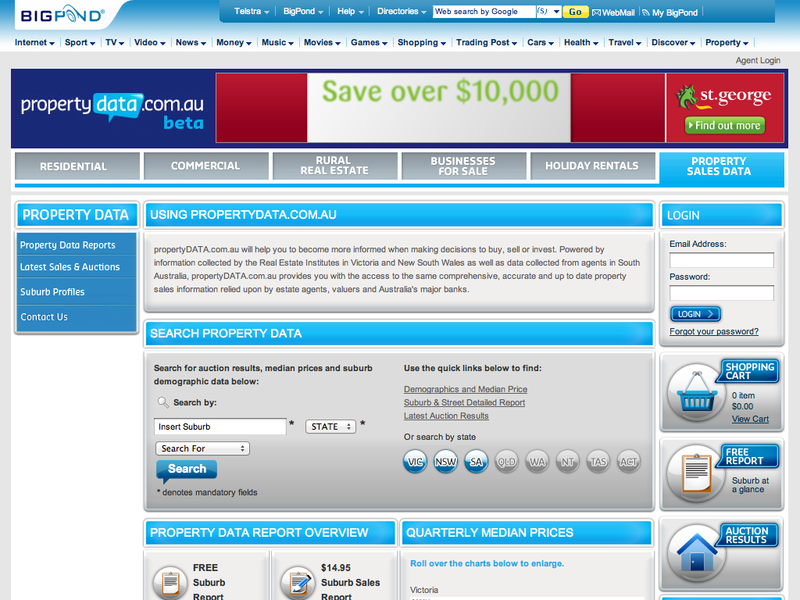 RealestateVIEW includes 50+ inbound and outbound data feeds including XML data feeds to realestate.com.au and feeds to Domain, Property Data Online (PDOL) as well as many signage companies. RealestateVIEW email system interfaces with the Exact Target system to provide email reporting including useful information such as email bounces and email open rates. RealestateVIEW has an Application Programming Interface (API) that is used to create iPhone applications for various RealestateVIEW members using the RealestateVIEW database. 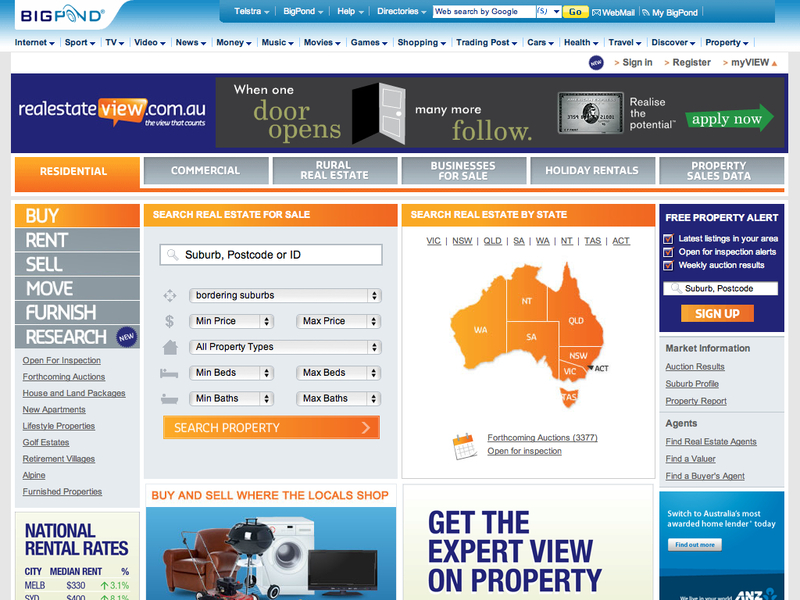 The RealestateVIEW search engine is used to run 150+ Real Estate agent websites with the look and feel customised to the look of the client’s website. 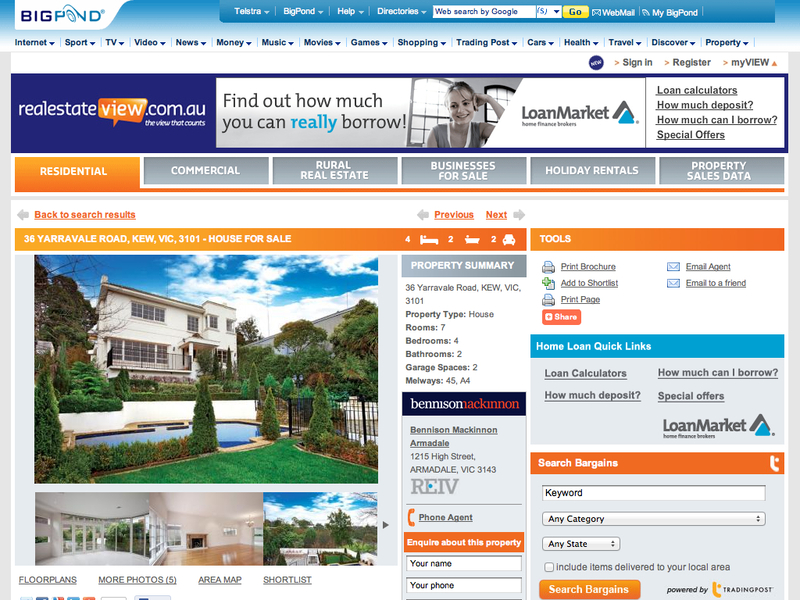 Example websites include www.noeljones.com.au and www.hockingstuart.com.au. 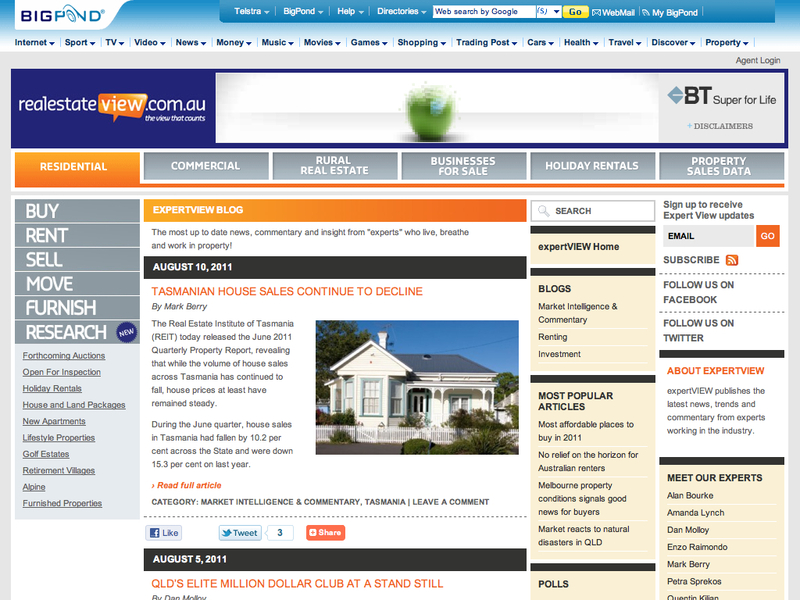 The RealestateVIEW search engine also runs a number of regional newspaper websites. 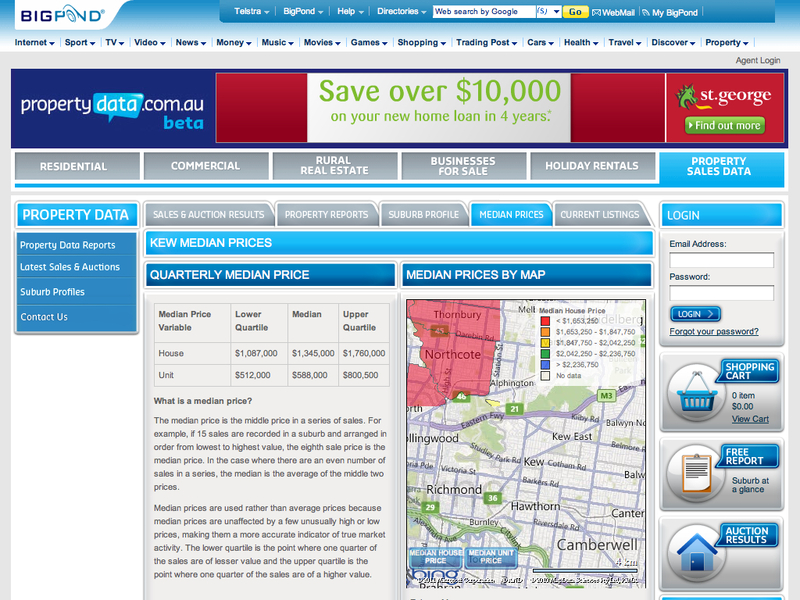 RealestateVIEW interfaces with the Property Data Online web service to populate the www.propertydata.com.au component of RealEstateVIEW. This includes a custom shopping cart system that allows the purchasing of property data reports. The RealestateVIEW email alert system sends tens of thousands of email each night including property alerts, business alerts, auction/OFI alerts and weekend auction results emails. 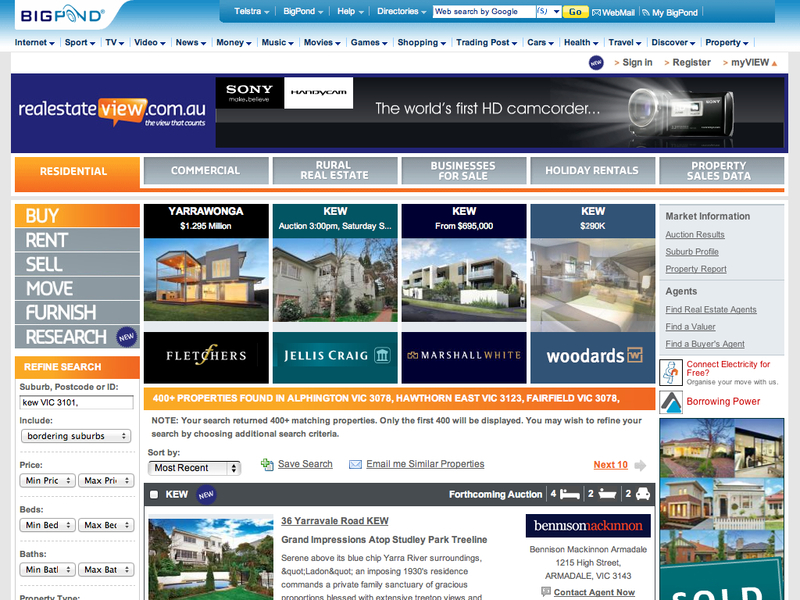 RealestateVIEW uses the WordPress CMS for both its blog (http://blog.realestateview.com.au) and its research section (http://research.realestateview.com.au). RealestateVIEW includes the use of a Payment gateway to automatically debit and credit its clients. RealestateVIEW has reporting, booking and administration systems which as an example enables administration staff to book upsell products such as feature properties and banner advertising. RealestateVIEW uses the WhereIs/Sensis mapping system with point of interest (POI) overlays to show facilities of interest to users. RealestateVIEW has developed and maintained all these systems as well as providing the technical support to over 3000 RealestateVIEW clients. RealestateVIEW continues to grow on the back of the quality code infrastructure that WebIT provides.